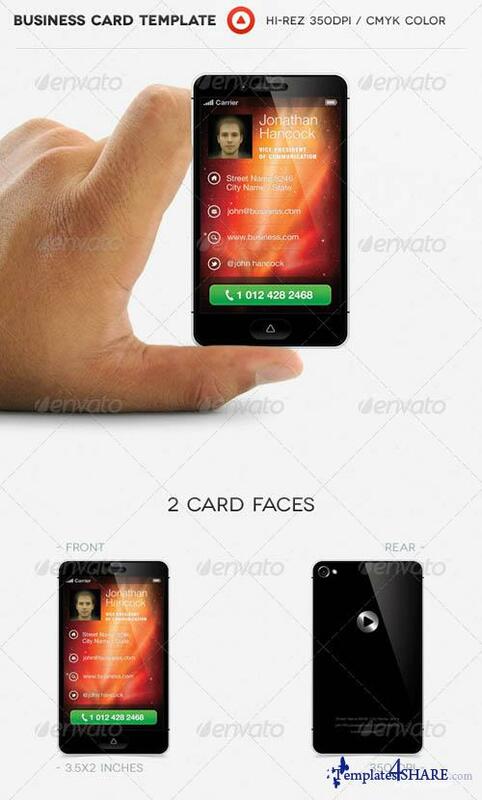 This is a mobile media oriented business card with 2 card faces. Includes areas for your picture, name, number, email, website & adress and on the back you can also add your adress, email, website & twitter username. Simple, mobile, elegant and high quality.